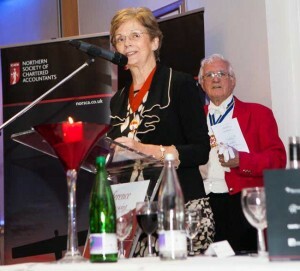 The Teesside Society of Chartered Accountants Annual Dinner was held at the Thistle Hotel in Middlesbrough and raised £5,850 for local charity High Tide Foundation. With 195 people attending from local accountancy firms and businesses there was a real buzz in the function room in between enjoying the four course meal provided by the Thistle. The evening was hosted by Linda Pach, Chair of Teesside Society and the guest speakers for the evening were Hilary Lindsay and Kevin Shakesheff. Hilary Lindsay, ICAEW Vice President spoke about the increasing opportunities for all young people to become accountants and how we are promoting the message that accountancy is as much about people and developing businesses as it is about numbers. Consequently accountancy can be a fun and rewarding career. She also spoke about ICAEW BASE, our business competition for schools and about how taking part in the regional heats and finals can be a totally energising experience for the young people and mentors and judges alike. Kevin Shakesheff is the chairman of locally headquartered businesses Caspar Shipping and Camair Freight Solutions and also the chairman and a founder member of the High Tide Foundation charity. Kevin spoke about some of his earlier experiences and the opportunities which High Tide has been able to offer local youngsters. Our nominated charity was the High Tide Foundation. High Tide was created by the businesses of Teesside to give local children employment related opportunities in the port, local businesses and beyond. As at the NorSCA dinner Barclays Business generously agreed to fund match so we managed to raise £5,850 for the High Tide Foundation which was a great result. Photographs from the Teesside Dinner can be found in the Gallery. 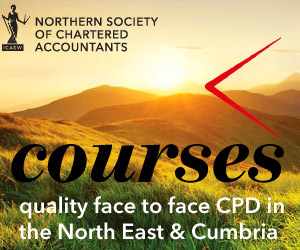 Teesside Society of Chartered Accountants is part of Northern Society of Chartered Accountants (NorSCA) which represents ICAEW members working in business and the finance profession across the North East of England, Teesside, Northern Yorkshire and Cumbria. We have been assisting businesses in the north of England and producing chartered accountants for over 130 years.